DAVENPORT, Iowa — With less than 60 days until the Iowa caucus, Donald Trump told voters that he’s here to work for them. The man who presided over "The Apprentice" boardroom noticeably shifted tone when he told Iowa voters "you are my bosses! Not the special interests, not the lobbyists, not the donors, you are the boss." In a further appeal to the potential room of caucus-goers, Trump lauded their first in the nation status, calling it "sacred" and promising that their voting slot will not change if they elect him. "Big day coming up," Trump told thousands in Davenport, Iowa, Saturday afternoon, as he summed up his remarks. "It’s called February 1st. Big, big day." But while Trump still tops many Iowa polls, his rival and fellow "outsider" Dr. Ben Carson has seen a decline in recent weeks. Those digit drops did not go unnoticed, or unremarked upon, by Trump. 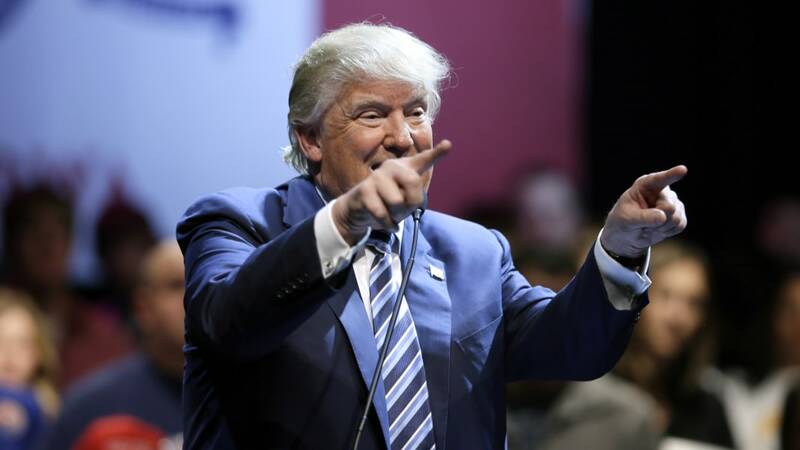 "I like Ben Carson, he’s a nice guy," Trump began, "but do you see the way they deserted him? By the way, as long as they’re deserting him, c’mon over to ours, right?" Trump said his supporters are among the most loyal, something that both polling and on the ground conversations have corroborated over the course of Trump’s candidacy. Those that came to hear Trump talk about his usual set of popular issues were in luck. 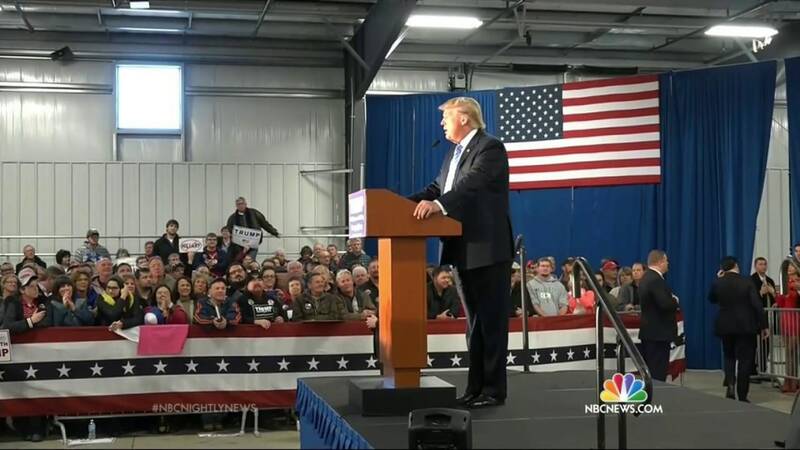 Trump, who for the first time did two events in one day in the Hawkeye State, brought back riffs about trade and reversing deficits, as well as newer ideas about national security in regards to recent terror attacks at home and abroad. As he has said previously, Trump said he believes that if people had guns in situations like Paris and San Bernardino things may have been different. "If some of those people had guns in their pocket ... you would have had a whole different story, Trump said. "And about what happened to us just now with the two sleeze bags that did what they did and killed 14 people ... if there were a couple of people in that room who had guns, if this guy here or this guy here or that guy or that woman, if you had guns would have been a different story," he said. Speaking about the sister of one of the San Bernardino shooters, Trump accused her of lying and knowing more than she has let on. “I’m good at this,” he told the crowd as he called her a "total liar." "She knew and all the other people knew, too," Trump asserted. In his mind, "those people that knew have to pay a big, big price. And they will pay a big price!" And while issues like domestic terrorism and gun control rule the news cycle, Trump emphasized that he was here for Iowans. More importantly, he was here for their votes. At the start, middle and end of his speech Trump pivoted back to the caucus. Reminding voters that they needed to get out the vote, get energized and go caucus, both for him and so the other team doesn’t win. "There’s a structural advantage that Democrats have,” Trump said. "Unless you get out and really vote, come November you’re not gonna win." For Trump, a loss in Iowa would means he has wasted his time. He admitted that campaigning and running "isn’t such fun" and that he could "think of other things I might rather be doing." But told the crowd that he feels he must run to help the country get back to a better place. To the tune of "Trump" chants, he made his final pitch: "If I win I will work so hard, I will put every ounce of my being into getting this country to a level that will be not only what it was, but great than its ever been before." Then an addition from his usual, and a more optimistic tone than many are used to from Trump: "We have tremendous potential."